You can export your subscribers IP addresses as a column when exporting your subscriber's data. Note: this function is only available if you have MailPoet version 3.4.3 or newer. You can choose to export the data as a CSV or Excel file. 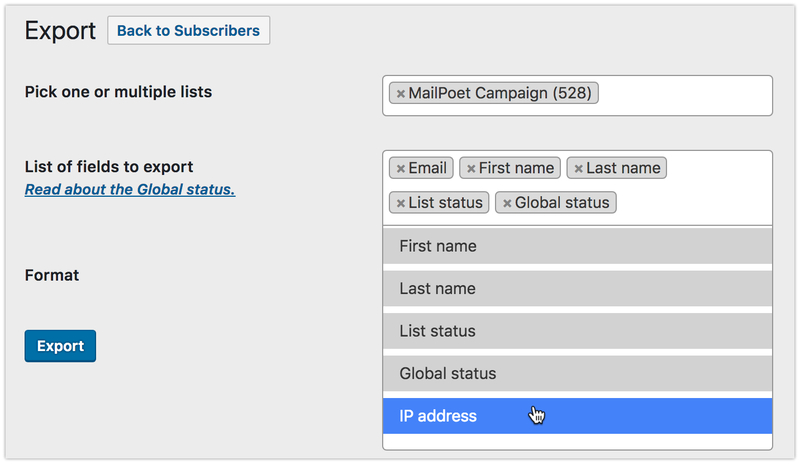 Note: MailPoet doesn't store your mailing lists, newsletters or your subscriber's data. It's only stored on your own website's database.